There are many new faces on the Patriots compared to last year. The Pats acquired four guys from trade, fifteen from free agency, and nine from the NFL Draft. They also lost nine players from trade and free agency and had three players retire. In this new series, I will be looking at every player from each position leading up to training camp. For this installment I will talk about the linebackers. The linebacking core last year for New England was very depleted due to injury. They managed to maintain their depth while also drafting two linebackers this year. Dont’a Hightower is now in his seventh season in the NFL and for the Patriots. Hightower was the 25th overall pick by New England in the 2012 NFL Draft out of Alabama. In his rookie year, Hightower was playing with guys like Jerod Mayo, Rob Ninkovich, and Brandon Spikes. In 2012, he played in 14 games and had 60 tackles, four sacks, and one TD. The next three years saw him appearing in 40 games, and racking up 279 tackles and 10.5 sacks. Hightower’s 2016 season saw him playing in 13 games and having 65 tackles and 2.5 sacks. This season got Hightower recognized by the NFL, as he was named to the AP All-Pro Second team. Hightower has also shown up in a big way in the playoffs. His first four playoff games consisted of 22 tackles and one INT. He came up huge in Super Bowl 49 against Seattle, where he tackled Lynch at the one yard line to prevent a late score. 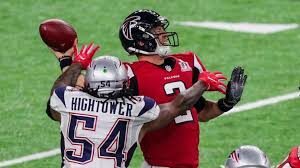 The Patriots’ next Super Bowl proved to be a big one for Hightower as well. He had what many people call the “turning point” of the Super Bowl when he strip-sacked Matt Ryan. Dont’a Hightower had high expectations heading into the 2017 season. However, those expectations were ruined as seven weeks into the season as he suffered a torn pectoral muscle. The Pats placed him on the IR, and he finished with 14 tackles and two sacks. A healthy Dont’a Hightower is one of the best linebackers in all of football. 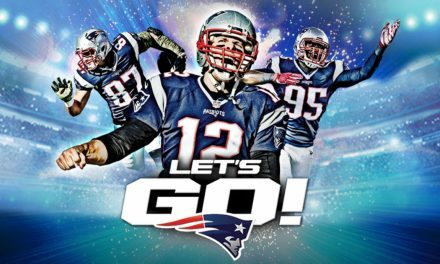 With a guy like Hightower back, the Pats are in it for another Super Bowl run. He is a lock to make the team come regular season. Kyle Van Noy is entering his fifth NFL season, and third for New England. Van Noy entered the league as the 40th overall pick for Detroit in the 2014 draft. After two and a half years in Detroit, Van Noy was traded to New England. He played seven games for New England after the trade, and had 27 tackles, one sack, and one INT. In 2017, Van Noy started in 12 of the 13 games he appeared in. He had his best season in the NFL, as he totaled 73 tackles, and 5.5 sacks. Van Noy also stepped up big in the 2017 playoffs when he had 16 tackles and one sack. Van Noy was a very solid mid-season addition by New England in 2016. He was pushed into a very big role after the Hightower role, and he stepped up big. Van Noy can cover tight ends and rush the passer when needed to. Overall, considering the skills Van Noy has, and the lack of depth at linebacker, I think he will make the team. 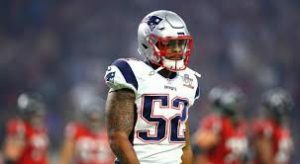 Elandon Roberts was the 214th overall pick in the 2016 NFL Draft. He is now entering his third NFL season. As a rookie, Roberts played in 13 games and started five. He totaled 45 tackles and one forced fumble in that span. Roberts also played in all three of the Pats’ 2016 playoff games, having seven tackles. He had a larger role in his second season due to the injury to Hightower. Roberts played in 15 games while starting 14 and had 67 tackles, two sacks, and one fumble recovery. He played in the three playoff games, and had 15 tackles. 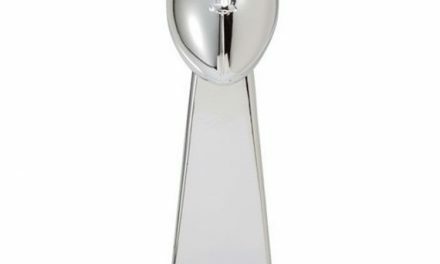 His play in the Super Bowl garnered a lot of hate from Pats fans, however. This was due to the amount of blown coverage by Roberts that led to the Super Bowl defeat. Roberts has exceeded a lot of fans’ expectations as a sixth round pick. He has had a solid career so far, but his Super Bowl 51 woes need to be fixed. Overall, he is still very young in his career, and I think he is more than likely going to have roster spot for next season. Marquis Flowers is heading into his fifth year in the NFL and second for New England. He was selected 212th overall by Cincinnati, and played three seasons there. His career with the Bengals was mainly as a special-teamer, as he had only 13 tackles over 32 games. He was then traded to New England before the 2017 season. 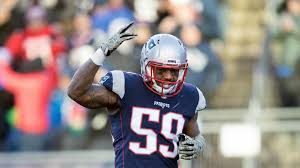 Flowers played in all 16 games for the Pats, while having 30 tackles and 3.5 sacks. He also played in the three playoff games, totaling six tackles and one sack in that span. Flowers was a quiet pick up for New England, as many people viewed him as a special-teamer only. He managed to show that he can rush the passer at will, or drop into coverage. After the season, Flowers signed a one-year deal with the team to remain in New England. Overall, with the ability that Flowers possesses it will be tough to cut him. 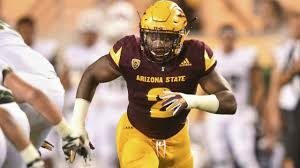 Chrisitan Sam was the 178th overall pick in the 2018 NFL Draft for the New England Patriots. Sam played all four seasons during his career at Arizona State. In Sam’s first two seasons for the Sun Devils he played in 22 games. In that span, Sam had 114 tackles, four sacks, and two INTs. He was a medical redshirt in 2016 when he suffered a season ending foot injury in the first game of the year. Sam came back, and had his best season to date. He played in 12 games and had 127 tackles, three sacks, and one INT. Sam is a very athletic linebacker who works best in zone coverage. He has great vision and makes quick reads, almost like a safety. Sam will still have to fight to make the team, but he brings a lot skills that the Pats did not have before. He could make it to the practice squad, but the Pats risk him being picked up by another team. Ja’Whaun Bentley was selected in the fifth-round with the 143rd overall pick by the Patriots. He was a four-year starter at Purdue where he played in 37 games. 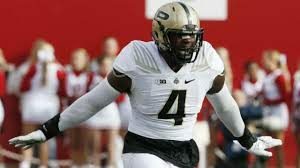 In Bentley’s first three seasons at Purdue, he had 175 tackles, one sack, and one INT. Bentley played in 12 games in his senior season, and had 97 tackles, one sack, and one INT. Bentley was an honorable mention for the All-Big-Ten team and was a Pro Football Focus All-American for his 2017 season. Harvy Langi is looking to enter his first healthy season for the Patriots. Langi was an undrafted free agent out of BYU when the Pats picked him up in 2017. He was one of the four undrafted free agents last year to make the final roster. Things did not start out well for Langi as tragedy struck him before the season started. In October, a driver rear-ended Langi’s car which lead to injuries to his neck, head, and back. Langi was placed on the reserve/non-football injury list due to his injuries, and missed the rest of the season. Langi’s 2017 season was a sad one as he only played in one game. He has a chance to show what he would have been last year as he looks to make the roster again. It will be tough to make the roster with the addition of the two new draftees. Langi could be cut then placed on the practice squad, but anything can happen with him. Nicholas Grigsby is entering his third season in the NFL and second for the Patriots. Grigsby was an undrafted free agent out of Pitt before he signed with the Rams. 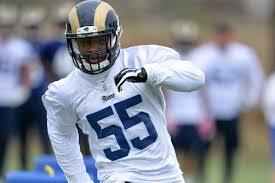 He spent most of his season for the Rams on the practice squad before playing the final six games. Grigsby was then waived before the 2017 season, and was picked up by the Baltimore Ravens. He did not play one game for Baltimore and eventually the Patriots picked him off of their practice squad. 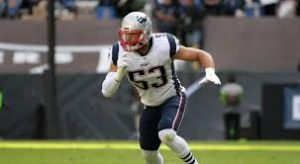 Grigsby played in 5 games for New England in 2017, and had 5 total tackles. Grigsby is primarily a special-teamer. 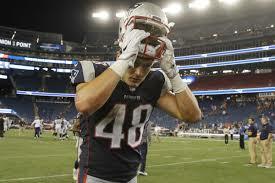 I believe out of all the linebackers on the Pats, he will have the toughest time making the team. His best chance is by making the practice squad. Overall, the Patriots have a few new additions at linebacker. Guys like Sam and Bentley can come in right away and contribute. Also, the return of Langi and Hightower from injuries could be key in another Pats’ Super Bowl run.